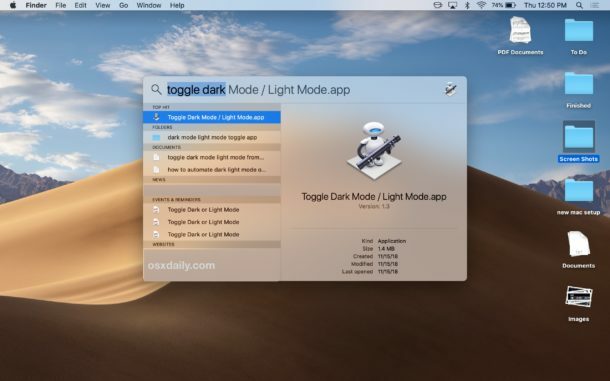 I use NightOwl 0.2.7 menu bar app to accomplish the same thing. 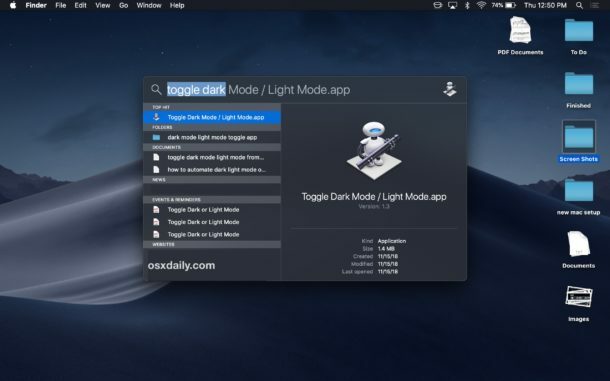 Not sure if you have heard of this one since it does the same thing and it sits in the menu bar and one right click lets you switch back and forth and has a few more options as well like scheduling. I think it is free too. Instead of all that I prefer to use “Dark Reader”that is available from GitHub at:https://github.com/darkreader/darkreader. It is meant for Chrome and Firefox, but if you download it for one or the other it will go into your app folder. Now open up your Safari, then go to the Apple app store and search Dark Reader. The first result will be that with an open button. Click that and it will ask if you want to enable it for Safari. Answer yes and you will immediately have an icon show up in your toolbar. Click on your new Dark reader and you will have all kinds of options besides on, off, and auto you will be able to adjust and the amount of darkness, the contrast etc. The only slight disadvantage is there does not seem to be a keyboard short cut when using it in Safari, but there is one in Chrome, Firefox, and Opera. Seems like a couple of unnecessary steps. 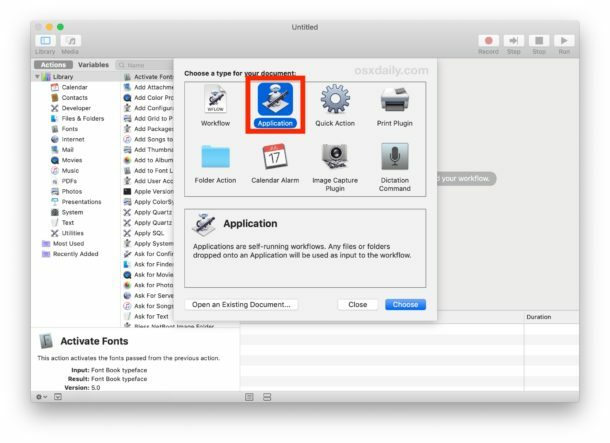 Instead, after creating and naming the automation, drag it to the dock for ready access. 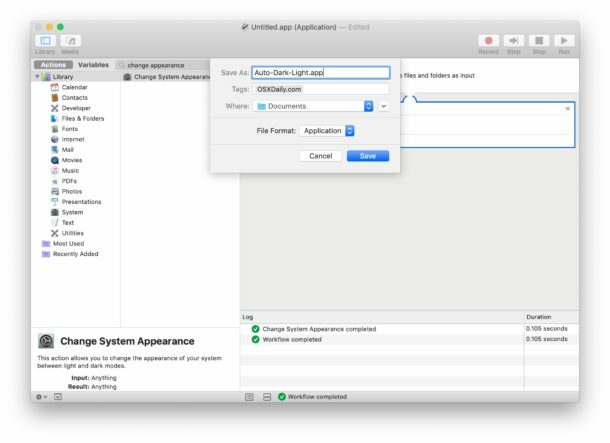 Double clicking the automation will toggle Dark/Light mode as desired. 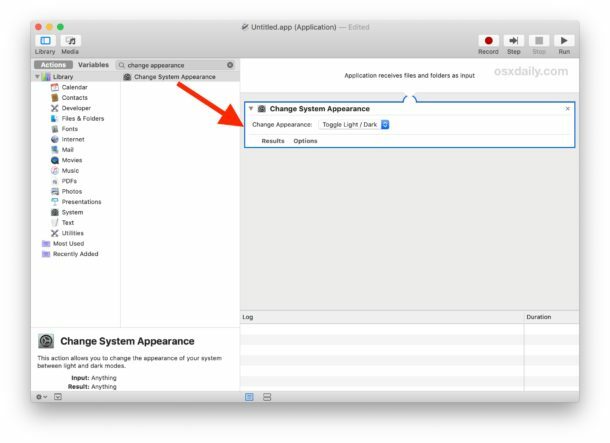 I have no Change System Appearance option in my Automator Library – wth? I also do not have Change System Appearance.l . This is the second one of these today that I have tried and the item is not there. I am thinking there must be something i have set up that is stopping these.